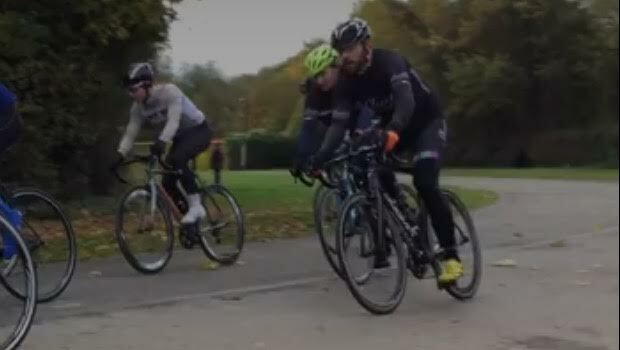 ﻿﻿This is my report from round 4 of the Brivelo Circuit series. There as been an announcement mid-week from the circuit series organisers Brivelo. Turns out they do more than just coaching, they do physiological testing and training camps in Tenerife! "Free training camp in Tenerife with Brivelo: This Saturday is race 4 of 5 of the Autumn Brivelo series. The highest points scorer of the last 3 races will win a free training camp in Tenerife including accommodation and flights. You will get personal one to one coaching for the week, and receive the benefits of the structured training that no other camp offers their riders from fat burning and tempo rides, along with structured intensity sessions. Attend the evening seminars and learn about nutrition the importance of a balanced diet, training principles and the benefits of training with power, hands on seminars. The dates we can offer this free place on is January 21st 2017. * If any of last races cancelled we will take best 3 results." An incredible prize! I am leading the standings with a win, a 6th place and a 2nd place. However, my win is about to be excluded from the competition as it will not be in the last 3 results as of today. I can only accept 1 outcome today, I need the win! I also need to keep an eye on a couple of other challengers, specifically Patrick Warren of Ellmore, Stewart Mackay and Simon Humphries of Dyson Cycles who have had good results and race winner Jack Patmore of Wellingborough. I won't let these guys get away! I can rely on the support of my lucky charm Chloe and her Dad Pete again as they seem to have enjoyed watching me ride round in circles... I'm grateful of their support though and I can't wait to show them what I can do! They can't possibly put the finish line at the bottom of the hill for a third week in a row! Can they...? "Whats the format for today?" I'm left hanging thought as the sign on guys don't know yet... I drag my bike from the car and slip on my jersey. I have full leg warmers, arm warmers and gloves on today a it is wet and cold! I feel stiff as I swing onto the track to try and warm up. I ride across the flat section and stare in disbelief at the finish line displayed at the bottom of the track. Despair, dismay and a whole host of other diss's clatter through my head as I ride over it and turn up the hill. I can't believe it, that said I should have learnt by now how this format plays out having missed out to the the same move twice! I'm still trying to psyche myself up for the race as I ride around with Banbury Star racer Matt Watson looking out for my rivals. The organisers are on the slope as we roll round our second warm up lap and that is when I hear it... The sweetest thing anyone has ever said. "track is going the other way guys, finish line at the top!" Me and Matt swing a 180 and I take the opportunity while his back is turned to do the worlds tiniest fist pump. I now cannot wait to get going! Only 2 of my rivals are here too with Patrick and Stewart spotted and mentally lassoed. This HAS to be mine! We line up and the race kicks off with cycling metronome Alex Pritchard leading the way. I'm looking down at my bike, my legs. I can't understand! Why am I working so hard just to sit in the wheels?? Patrick decides he is going to sod off his own! I push as hard as I can to get on terms and creep back up slowly, too slowly! I'm deep in the red but I've got him for now. Alex pulls the rest of the bunch to us and we settle in again. I say settle, there was nothing settled about what I was doing! My legs just wouldn't go! I was so desperate to impose myself on the race that I counter attacked the following lap... Alex saw me coming and accelerated with me. I didn't even make it to the front of the bunch. I am in trouble. As the race clock hits the 30min mark (15mins a 3 laps before we finish) I find myself staring at the wheel in front of me. If my rivals attack now I'm done for! "Yeah come on Gareth" I tell myself "You've held on this long and you know you've got a good sprint! Just watch that last lap attack..."
1 to go and we are lead up the hill as a group... All together for the final lap. I'm going to try but my legs are empty. I sneak around the outside of the track and put Patrick and Stewart on my inside shoulder. I just have to beat them! A Team Milton Keynes jersey pops out in front of me and the distracts me from my misery for a second. Its like a bolt of lightning has hit me, I forget the pain and suffering. I forget how cold I am and how I've just lost a contact lens. I focus on the blue and orange jersey ahead and grind the effort through the pedals clawing my way forward until we are side by side. He has the inside line and my speed is faltering... But Chloe and Pete are vocal and I hear them, feel their will reaching out and pulling me to line. I count the pedal strokes. I give 6 at full power.